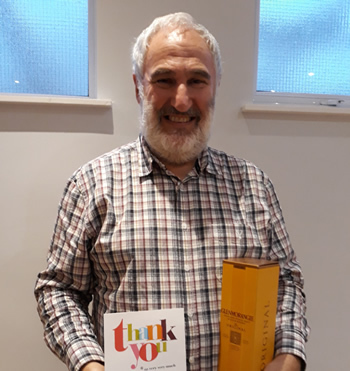 Howard Saffer of Sheffield and District Reform Congregation has stepped down as Chair of the Northern Network, a position he has held for over five years. The Northern Network is made up of the executive members and rabbis of Reform synagogues in the North of England and Scotland and meets four times a year to share good practice and support for the development of their communities. Sarita Robinson, Reform Judaism’s Northern Community Partner said: “We thank Howard for his visionary leadership and commitment to our thriving Northern communities and their development”. Howard has been succeeded by Ian Sugarman, Honorary Life President of Hull Reform Synagogue.